Setting goals gives you long-term vision and short-term motivation. The very action of setting goals focuses your efforts and helps you get organized so that you make the most out of your resources, including time and finances. It can be daunting to get started, but if you have a vision of the big picture, then you can start breaking it down into more manageable targets, and then things start falling into place. Once you have an idea of the big picture, set a five-year plan of smaller goals, then a one year plan, a six month plan, and a one month plan. Each of these should be based on the previous plan. Lastly, create a daily to-do list. This one should be modified frequently or even set the night before. The important thing to keep in mind, is that your goals, once set, are not set in stone. These are living goals that should be reviewed and modified along the way. Seek the advice of a professional to make sure your goals are realistic and your path to attain them is sound. At Federal Hill Fitness, we offer free consultations with certified personal trainers specifically for this purpose. It can be extremely frustrating to continue working toward unrealistic goals or attempting to reach realistic goals in a completely unproductive manner. For the main vision, consider areas that you want to change or feel you would like to develop with time. Try to get as specific as possible, knowing that any ambiguity will just give you a loophole to slack off. Don’t cheat yourself! Adjust your goals periodically. Take time to re-evaluate your goals, as your situation may have changed. Allow for flexibility in increasing the challenge based on getting stronger or meeting some of the other goals, or reducing it based on an injury or other health issue. Having goals should not be a stressor, they are a constant work in progress, and should bring you satisfaction, not a feeling of defeat. 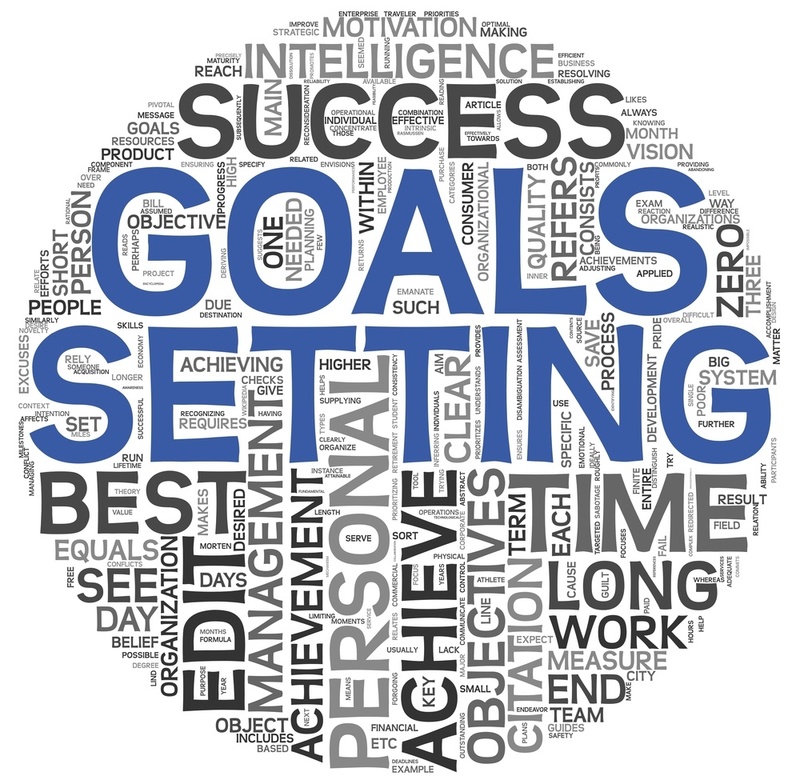 Make your goals specific and measurable. Be as detailed as you can be about what success will look like. Will you be able to tell when you have met these goals? For example, “lose weight” would not be a great goal, while, “losing 8lbs by November 5th” or “dropping two inches off my waist by my wedding date” would be much better. Be realistic. Evaluate your situation honestly and recognize which goals may be a little far-fetched. Consider your body type, age, and any other factors that might not be pleasant to acknowledge, but will be a huge factor in determining success. Do you have all the tools necessary to reach your goals, such as skill, resources, time, knowledge? Get help identifying what you will need in order to reach your goals. Set priorities. Assuming you have more than just one goal in mind, you might end up with too many goals in competition for your time and attention. Your fitness goals may interfere with your goal to spend more time with friends, or your goals to travel more. Consider combining your goals to make better use of your time and save your sanity. If you start feeling overwhelmed by too many goals, you will be less likely to accomplish any of them. Keep track of your progress. Keep a journal or a running note on your phone. Checking in with yourself and acknowledging progress is the key to staying motivated. Be sure to set up a reward at certain milestones, and celebrate your accomplishments!